Fast. Secure. Easy. Best VPN service for Android device.Overcome geo-restrictions, protect your privacy&enjoy all content with ZenMate VPN. Watch and download all of your favourite content. Our VPN service lets you change your virtual location to watch films and TV shows that are usually restricted in your country. Download your favourite content privately, securely and with lightening speed.Browse the web securely on any Wi-Fi connection. Without a VPN service, your data stays unprotected when you use public Wi-Fi networks. 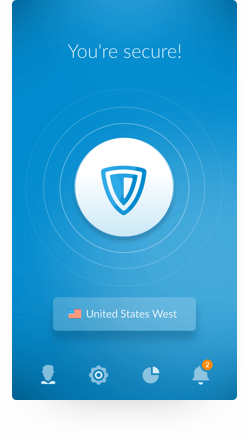 Our VPN uses top-level encryption to keep your passwords and banking information safe.Our VPN is already used by over 43 million users to access the web securely, anonymously and without restriction.Stop anyone from tracking your online behavior. Don\'t let the government, ISPs and advertisers spy on you online. ZenMates VPN hides your IP and encrypts your traffic, meaning nobody can track what websites you visit.Bypass censorship when traveling or living abroad. Use our VPN service to change your virtual location when visiting or living in a country where the internet is censored. Access social media, news sources, gaming sites and more.Choose your ZenMate Plan now!